The books – especially the two Management ones – A Cry For Help! 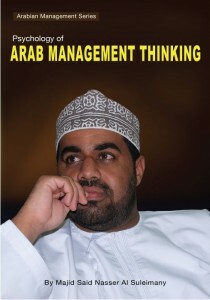 – and Psychology of Arab Management Thinking – both in Context and Perspectives – Arabian Management Series – are unique books and written in a unique and special style. The books are about the Author as a Human Resources and Management Professional and as a Human Resources Manager, Expert and Advisor – and his experiences and exposures in his various jobs in Human Resources and Management, with particular emphasis and specialization under The Arab Managers. The books are soul searching, in deep self-analysis and critical evaluation of one’s own people in the field. The Author extols the culture and importance of work in his religion and the pitfalls and lacklustre attitude of some of the Managers in position about the Accountabilities, Principles, Transparencies, Professionalism and Ethics of Management – and vis-à-vis their roles, aspects and responsibilities. development and improvement in the management sphere. The Arab countries are far richer with abundant reserves and more importantly with a healthy and young population. In spite of all these why do we lag behind others in many spheres? Is there anything wrong with the management? He says, “he is baffled and confused”. According to the author “it is not enough only to have your personal and job dedication and commitment – what is needed is complete abdication and surrender in commitment, dedication, loyalty, faithfulness etc to your work, job aspects, and responsibilities. Just your input is not enough, far more is required”. The books are designed and focused for all the people to talk to each other across the borders and the boundaries – and to build up better relationships, harmony, rapport and understandings – and with the aim of building and creativity – and to avoid costly mistakes, decision-making and errors in judgement and stereo typing etc – and in special regard to the Offices environments – and in special reference to local and expatriate relationships – and even between locals and the expatriates themselves too. chapter dedicated to Late His Highness Sheikh Zayed Al Nahyan of UAE in fond remembrances – Let Us Not Forget Sheikh Zayed of UAE (PBUH).. In the Between Us Only books series – The Original Book One – The Sequel – Between Us Only! and Short Takes – Between Us Only! The Author has covered many issues that others are afraid and scared to talk about in social, economic, family and domestic and other issues – and coming out from his column of now at eight years titled similar in The Oman Daily Observer. He offers solutions that people have not even thought about – and in his simplistic way of analyzing situations and coming to workable and possible solutions. Professionalism and How To Apply For A Job – varied articles for different tastes and likes – covering almost everyone – from the Student to The CEO – from the child to grandparents! 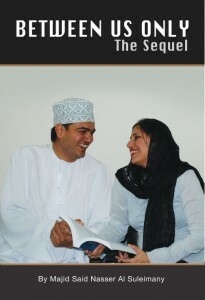 It is a labour of love with keen observation of the society in the 21st century Arab world in particular. It also carries warnings, resentments, and fears and advises for all.